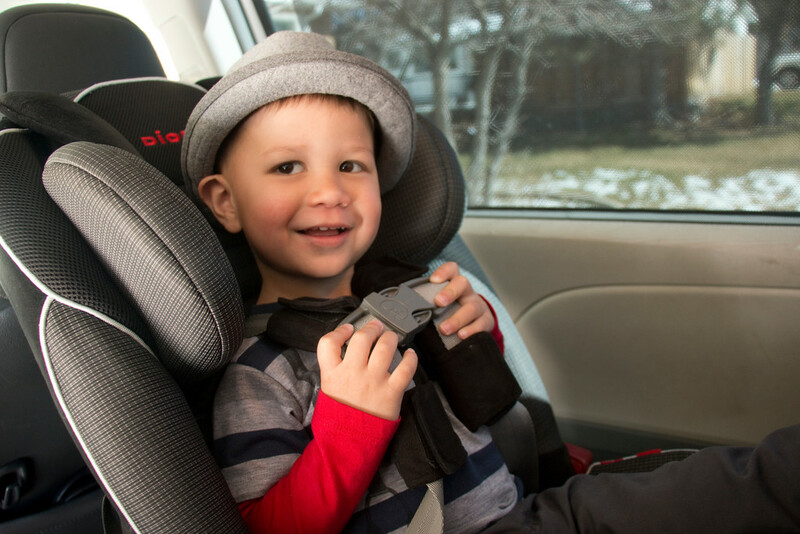 Diono Radian RXT Review Mama Say What?! | Mama Say What?! Car Seat Police: Relax! The car isn’t moving and he isn’t completely buckled in yet. That smile is to show you how proud he is that he can do the buckle by himself. 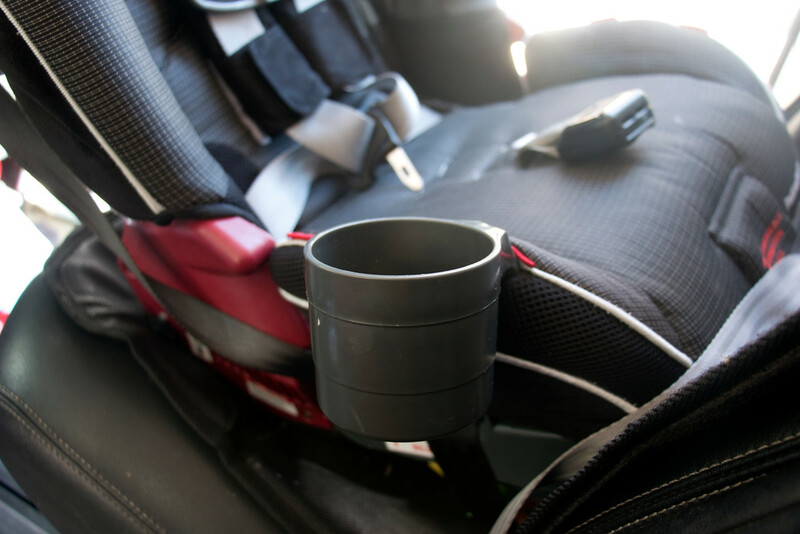 Back when I was a first-time mama, I honestly had no idea that car seats expired. With the massive quantity of information that new parents are expected to learn, that was one tidbit that didn’t make it into the swiss cheese that became my mommy brain. So when it was time to purchase a convertible car seat for my son, the previous year’s model of Recaro car seats went on sale, so we bought two of them. They were brand new, but almost a year old when we received them. We adored those seats which have since been discontinued and replaced with newer models. They were fantastic. When I was pregnant with my youngest son, my husband and I just figured we’d use the same car seats with him. That’s when a friend asked me, “when do your car seats expire?” Say what?! Our boys are 4.5 years apart and the wonderful Recaro seats we had were set to expire right about the time our youngest would be ready for them. That’s when I learned about the varying lengths of time that car seats are meant to be used. In all honesty, part of me wondered if it was all just a scheme to eek more money out of us parents. But some more research finally helped me understand how they are safety tested and really should be replaced when the time is right. We got about five years with our Recaro seats, but I would have liked at least another year before switching to a high back booster seat. When we started looking for new seats for our youngest, I wanted seats that would last longer. That’s when I learned about Diono and their Radian car seats. We will get a full 10 years with our Radian car seats. That’s more than long enough for my youngest to stay in a 5-point harness for as long as possible. This seat has an all steel frame and feels like it was built like a tank. It’s officially the heaviest car seat I’ve ever owned, weighing in at 32 pounds without a kid. It’s approved by the FAA for use on an airplane, but I honestly don’t know if I’d want to schlep this bad boy through an airport terminal. Maybe for a long flight I’d consider it. It’s also quite a TALL car seat. When we first got it, I was driving a 2008 Nissan Altima. The passenger seat had to be pushed all the way forward to get this seat to fit rear facing. We purchased the Angle Adjuster that Diono sells to help get a better fit in smaller vehicles, but I didn’t like it. I felt it lessened the recline of the seat and when my son fell asleep (which was often), his head dipped forward rather than back. I stopped using the Angle Adjuster within an week and returned it to Amazon. A year later we switched to a Toyota Sienna and there’s plenty of room for it in our minivan. My sister and her husband just welcomed their first baby and when they asked me for car seat recommendations, I suggested the Chicco NextFit over the Diono Radian for this reason. They are both tall and drive relatively small cars; a Honda Civic and a 4-door Saturn. The Diono Radian would have been inconveniently tall for their cars. Installing the Radian was about the same as installing all of our previous car seats. A challenge to get the LATCH connectors tight enough, which has always been a challenge for me. Installing with just the seat belt is easy enough and usually my preferred method. I wish Diono would chat with Chicco and share installation technology like the Chicco NextFit has. That would make this mama, and her hands, very happy. We’ve had this car seat for almost two years and it’s been great. I really like how shallow the sides are. It makes getting a wiggly toddler in and out pretty easy. My son really likes how much he can see out the windows too. The narrow base is really nice when we need to squeeze an extra friend into the back seat along side my older son and his high back booster seat. Another reason we decided to go with this seat was the ability to convert to a booster seat with the seat belt once our son is old enough for it. With the height of the head wings, this is one feature I’m not 100% sure we will use. 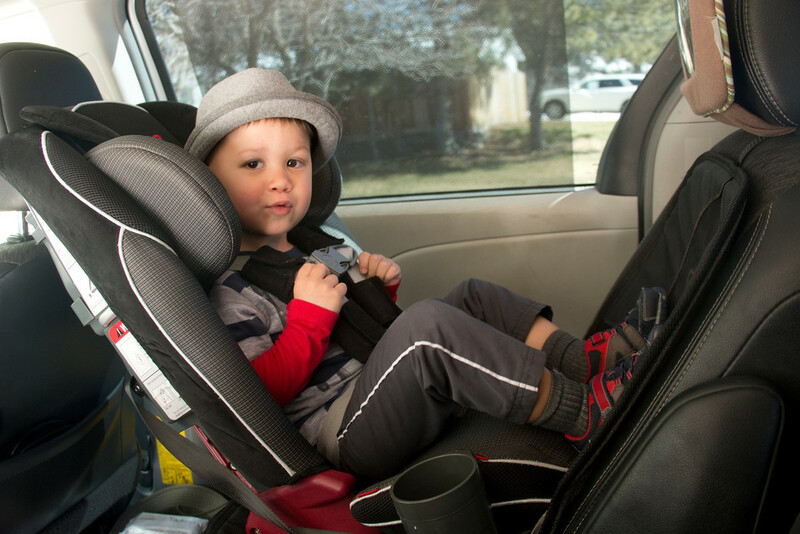 Most kids outgrow their car seats in height well before they reach the weight limit. The limit on this seat is 120 lbs… I don’t think my mother-in-law weighs that much! Either way, regardless of whether we get to use it as a booster or not, it’s been a wonderfully sturdy convertible car seat for us. My son loves having his own cup holder too. 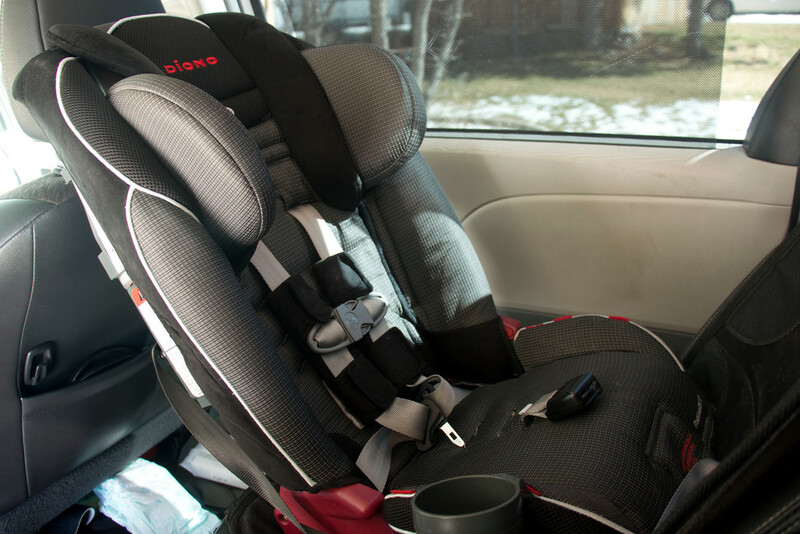 I really only have one big complaint with the Diono Radian: I wish the straps could be adjusted without having to take the car seat out of the vehicle. 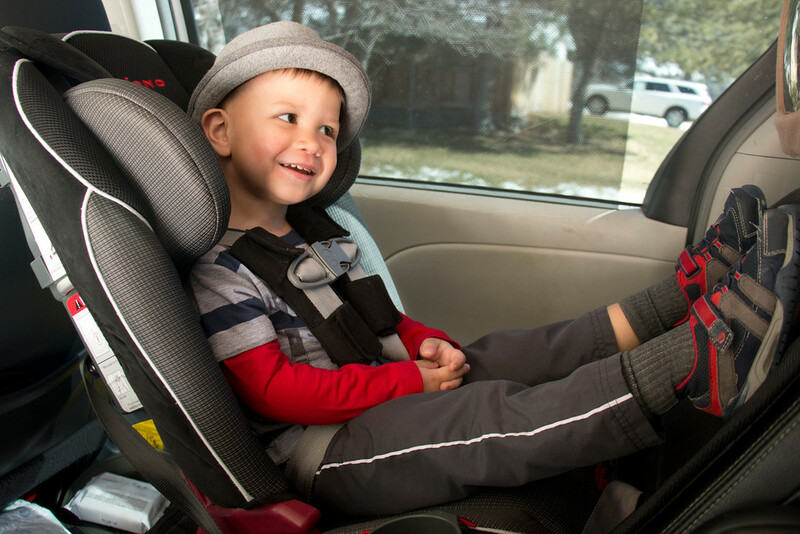 So many car seats are manufactured now with the ability to raise or lower straps without the hassle of pulling the seat out, taking the straps apart, rethreading, and then installing the whole seat again. Diono needs to get on board with that technology too. 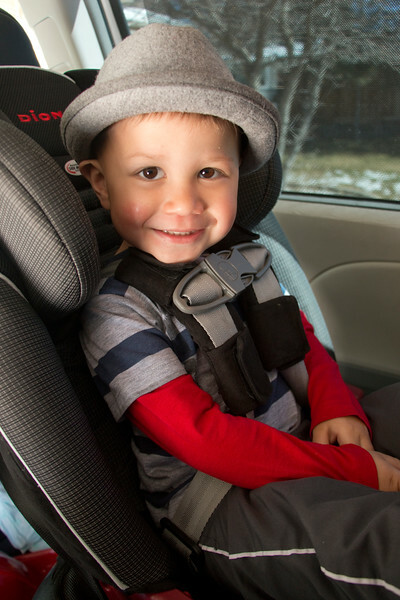 Because of the longer lifespan of the Radian when compared to other brands, this is the car seat my parents purchased for their own cars when their grandkids are visiting. Since ages and heights vary, being able to adjust the height of the straps quickly and easily would have been really, really nice. Overall, it’s an awesome car seat and one that will truly last. But I think there are a few features that could make it even better. Added by Alex T. on March 7, 2017. We had an accident and had to replace our car seats in one vehicle. Thanks for your review!